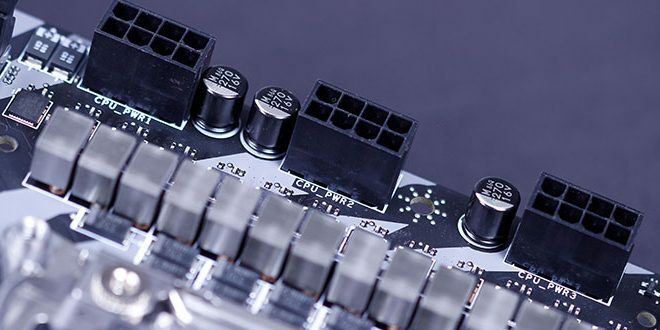 Home » Reviews & Articles » Hardware » MSI X299 Creation – HEDT, With an Extra Helping of Excess? For the test platform, we have the 7900X on the X299 Creation with Corsair Vengeance running at 3200MHz CL 15 for the Intel side. We are running a Thermaltake AIO Triple Radiator cooling solution on the CPU to make sure we don’t get any throttling. The operating system is Windows 10 Pro X64 with updates disabled. We make three runs at each test then average those three runs and report the results here. If we hit a run that we consider being far away from the norm we dismiss that result and run a 4th test. One thing worth noting is most board results will be within the margin for error so performance is shown just to show it falls in line with the rest or even shows when a board may be a strong outlier.